Certified Pre-Owned vehicles from Chevrolet, Buick, and GMC offer greater value and confidence than ordinary used cars. That’s because each of our CPO vehicles undergo a 172-point vehicle inspection and thorough reconditioning process. And it’s why every CPO vehicle includes not one, but two General Motors-backed factory limited warranties. Bring home more value and peace of mind at Bommarito Chevrolet South. Are You Looking for An Inexpensive Car in South County? Looking for a cheap used car or truck in Saint Louis or nearby? 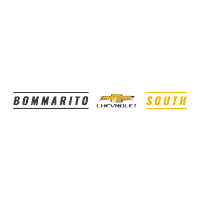 Bommarito Chevrolet South is here to assist you. We’re a St. Louis dealership proudly serving customers in Fenton, Affton and beyond. We provide used cars and trucks, and also a variety of leasing and financing opportunities. Already know what kind of car you want? Please contact our loan department at 314-487-9800 to make inquiries about our choices for car loans in St. Louis, MO. Alternatively, you can fill out our finance pre-qualification form to find out about securing a used car loan. If you are not certain about what style of used car you are looking for, visit our inventory of St. Louis used cars online before you shop. When you are hunting for your next vehicle in St. Louis, you have a few options if you want to cut costs. For many, opting to look for cheap used cars in St Charles or Manchester may seem like the best route; with a cheap used car, you’ll save money on your first payment and obtain a smaller loan, but you drive a car or truck that may have significant miles on it. If you decide to lease a new car in St. Louis, you will still save money on your deposit, and your monthly payments are typically less than paying off an auto loan. The reason why many individuals prefer to lease a new car is that it permits them to drive a completely new, unused vehicle, one that is often more costly than they could afford to purchase. Because of this, leasing a new Chevrolet vehicle in St. Louis is a popular option. Contemplating the idea of leasing a new car near Arnold or Fenton? Leasing new may very well be a good alternative to shopping for a cheap used car in regards to conserving money. Plenty of people agree that choosing to lease a car or truck for a period of two to three years results in a solid choice fiscally; down payments on leases are reduced, your monthly installments will be less than a car loan payment, and you will usually not need to worry about maintenance fees. This is especially crucial to consider if you’re considering buying a cheap used car, which could cost less money upfront but give you trouble concerning maintenance expenses. If you’re attempting to decide between buying a cheap used car or leasing a new car in St. Louis, take a moment to consider what sort of car or truck you see yourself driving, as well as how much time and energy you’re willing to put into repairs. If you prefer an inexpensive way to drive the most recent car out there, leasing in St. Louis is probably for you. But if you’re somebody who likes driving an older car for a low price, you might desire to shop used. Remember, if you have questions or concerns, you can stop by Bommarito Chevrolet South or call us at 314-487-9800. We’d love to help you find the vehicle and financing option that’s right for you!